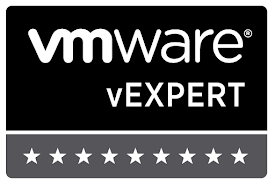 Zsoldier's Tech Blog: vSphere: VUM (Update Manager) had an unknown error. vSphere: VUM (Update Manager) had an unknown error. There is a KB article about this, basically happens when the metadata zip file is missing. In my case, it happened when I moved vCenter from one OS version to another. By way of old VM to new VM. Essentially, I needed to move all my metadata files from my old vCenter that happened to house VUM as well to the new one. The folder in particular is hostupdate and contains the metadata_###### file that the logs refer to. So if you still have the old server, you can simply copy it back over. Otherwise, your only recourse is to reinstall and clear the VUM database.